A long lived hot orange coloured chilli from the slopes of the Andean Mountains. 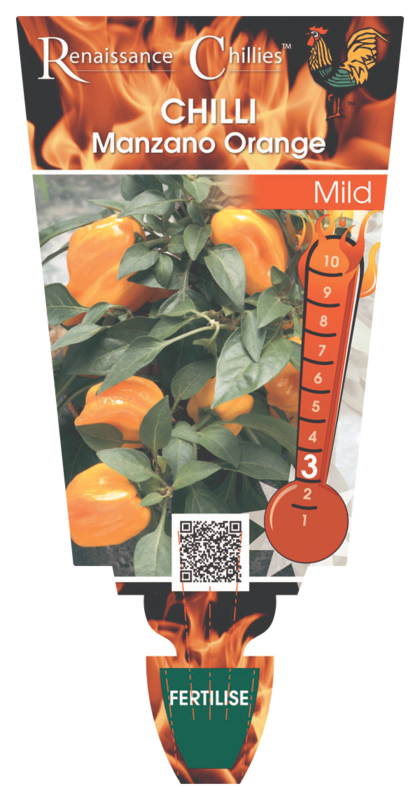 It is cold hardy and related to the Rocoto Tree Peppers from Bolivia. Chillies form an integral part of many Asian and Latin American dishes along with some European, African and North American. Indeed over time most cuisines have added this fiery little fruit into their recipes. There are many forms that vary in colour, shape, flavour and of course heat. This is a nice orange form that is best eaten fresh.